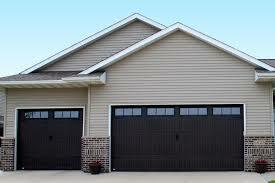 When garage doors are in excellent shape, homes are secure and people are safe. But since problems are quite unavoidable, call us up if you like to service your residential garage doors in Burlington, Ontario. Normal wear can also be controlled with regular maintenance, but count on us for same day repairs should the need arises. At Garage Door Repair Burlington, we take care of our customers by covering all service needs. So you can come to us with your concerns but also ask our help should you decide to make replacements or any changes. We will be very happy to oblige. When you are faced with problems, you need garage door repair. And when it comes to repair services in Burlington, we take pride in being one of the local leaders in the industry. We go all out to serve our customers knowing that the smallest problem with the tracks, opener, or springs might cause terrible problems. And problems don’t come along. They often bring safety concerns and security issues with them. So, next time you need quick and dependable residential garage door service, don’t hesitate to talk to us. We will listen to your problem and send out a qualified pro. It goes without saying that each and every pro is chosen for their qualifications and great experience. They all provide service quickly, arrive to your place fully equipped, and are experts in all garage door & opener brands. This means that they can fix any LiftMaster, Marantec, or Genie opener and remote, take care of extension and torsion garage door springs, replace cables, or fix tracks. So do call us irrespective of your troubles. When it comes to replacement services, we can help in many ways. You can come to us for the replacement of all residential garage doors and expect pro assistance and excellent installation service. By all means, you should expect fast response and trained pros when you want to replace parts. A pro won’t only rush to provide garage door opener repair but replacement too. The techs will come out to replace tracks, rollers, panels, &any broken or damaged part. Our advice? Keep our phone number. You never know when you might need service on your Burlington residential garage doors. But if this day comes, know that we stand by and are ready to help. Call us.